SMARTPHONE FEATURES WITHOUT THE BULK. The Alcatel MYFLIP™ is more than just a basic phone. 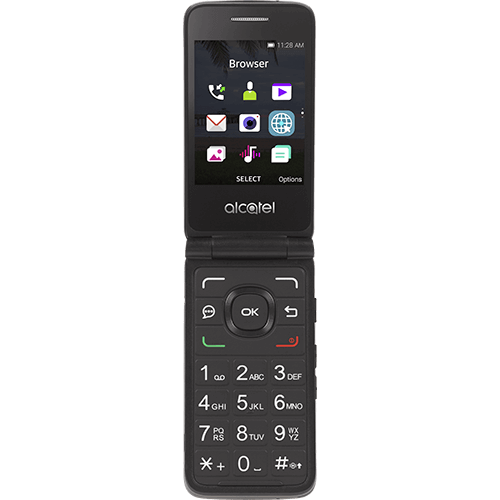 It delivers the essential features to be productive - including access to email, calendar and web at 4G speeds - in a durable compact flip phone design. 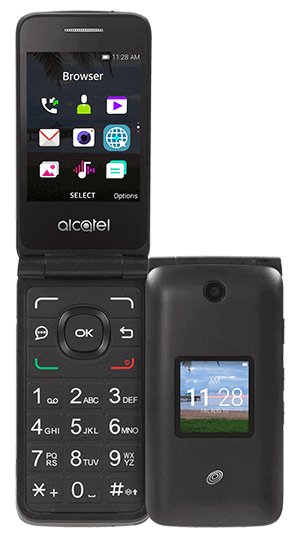 The Alcatel MYFLIP™ delivers the essential features to get things done in a compact flip phone design. Preloaded with web, email and calendar apps to be productive when you're out and about. LONG-LASTING BATTERY - Don't worry about needing to charge throughout the day, the 1350 mAh battery with 8 hours of talk time has you covered.